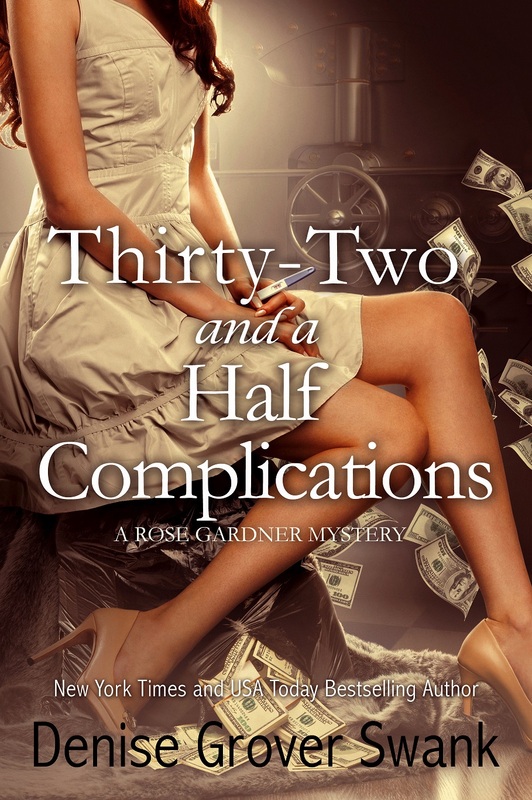 There’s no denying trouble finds Rose Gardner like a divining rod finds water, especially when Rose lands in the middle of a bank robbery. But after the robbers steal her deposit bag—containing a large amount of cash—she soon finds out that trouble is threatening her business as well, thanks to her sister Violet’s financial mismanagement,. I can hardly wait to read this book I have it on my calendar when it comes out. I can’t wait to read this book.It comes out on my birthday! It’s one of my favorite book series and you are a great Author. Love this series!! Anxiously waiting for this book to be released!! I just found this series last week and have read all 5 books! Honestly might be my favorite series of all time. However, this next book makes me so nervous!!! I have never wanted a character to be with 2 men before!!!!! My heart broke when Joe left. And Mason is every girls dream. All I know is that if Violet ends up with Joe—- I’ll never read a book again! I’m so excited!!!!! I want to make use of some of the content on my blog. I’ll give you a link in the page if that is okay with you. Thanks for spending the time to share, I feel strongly about it and love reading more on this topic. Keep updating your page with additional information! Hey! I just would like to give a big thumbs up for the great info you have here in your post. I will be coming back to this site for more soon.